I consider myself a Bob Dylan fan, but I'm by no means one of those obsessive, all collecting fans of Dylan. Because of this, I know literally nothing about what he was putting out in the 80s, but I've heard it isn't exactly up to his normal level. 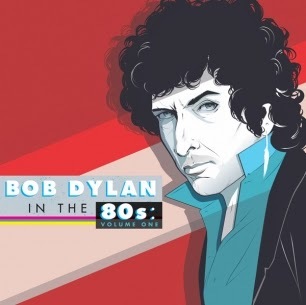 So, of course a bunch of indie bands have decided to cover nothing but songs he released in the 80s for a new tribute album, Bob Dylan in the 80s: Volume One. The album will feature the likes of Deer Tick, Reggie Watts, Lucius, Blitzen Trapper, and more. Most importantly, it features Built to Spill covering "Jokerman" off Infidels. Like any Built to Spill cover, it stays completely true to the original while somehow making it completely their own. You can download a free copy of "Jokerman" over at Rolling Stone's website. For more information on Bob Dylan in the 80s: Volume One, click here.